Studiomaster PAX12+ 12" Active PA Stage Monitor Speaker 150W RMS Power Output. 300 watts Peak Power! 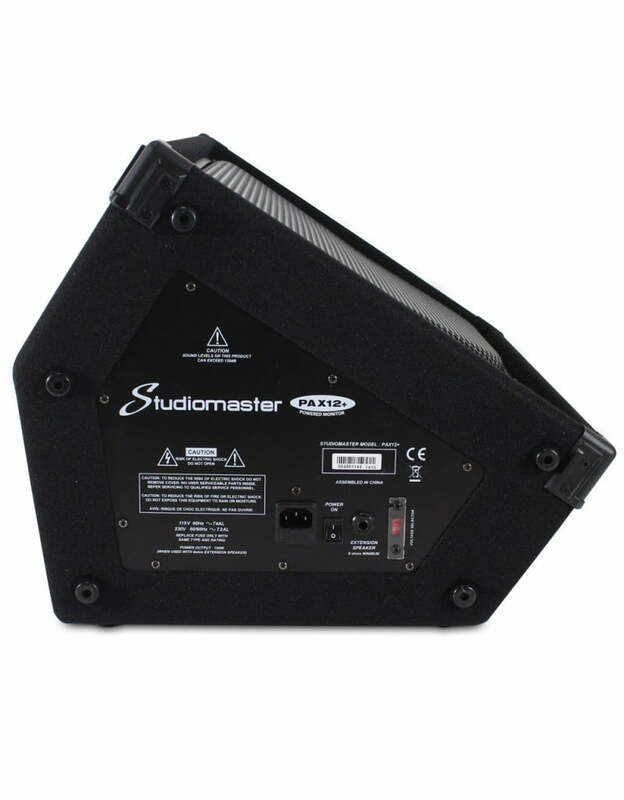 Studiomaster PAX12+ 12" Active PA Stage Monitor Speaker 150W RMS Power Output. 300 watts Peak Power! Home / PA Equipment / Powered Monitors / Studiomaster PAX12+ 12″ Active PA Stage Monitor Speaker 150W RMS Power Output. 300 watts Peak Power! 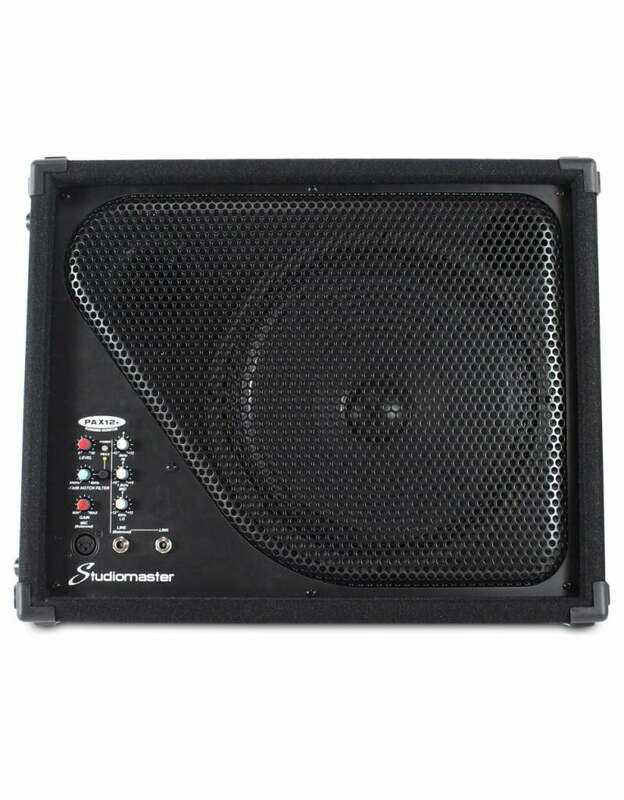 Studiomaster PAX12+ 12″ Active PA Stage Monitor Speaker 150W RMS Power Output. 300 watts Peak Power! 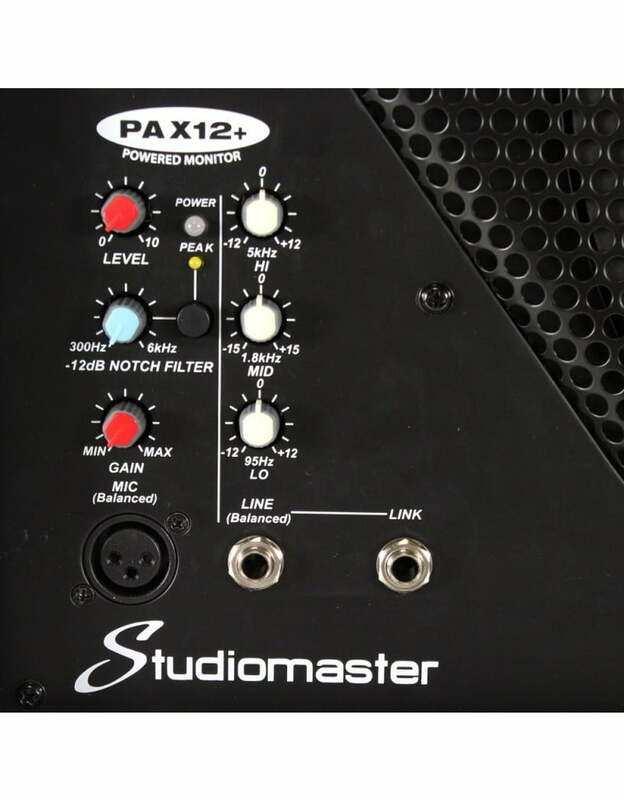 The Studiomaster PAX12+ 12″ Active PA Stage Monitor Speaker 150W is a great active stage monitor! The PAX range are designed with a wedge shaped cabinet and 35mm top-hat making the PAX12 ideal as a pole mounted speaker or a stage front wedge monitor. Made for transport and the punishment of life on the road; this durable speaker is constructed of a rigid wooden shell and then finished with a hard wearing black carpet; to keep the speaker protected, secure and most importantly sound insulated. This means the PAX range are built to last; as well as look and sound great. With a 12″ driver and high frequency tweeter; this Active stage monitor speaker has a great sound quality at a very competitive price! Ideal for all installations from mobile DJs, Live bands, pub and club setups or even house parties these speakers will give you a loud, clear sound but their light weight design makes them easy to move and store. 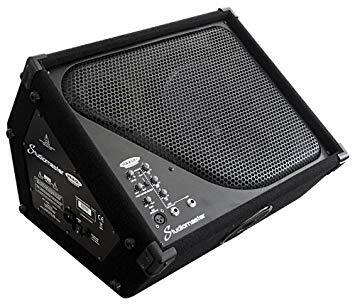 For any Questions about our Studiomaster PAX12+ 12″ Active PA Stage Monitor Speaker; or for Prices on delivery to the EU please contact us. Or; why not visit our Facebook page and follow us? You can see ALL the latest info as it happens!